When Bill Johnston met John Carmichael in 1936 they turned a possible partnership into, what is now, the largest independent firm of Chartered Accountants and Business Advisers in Scotland. The origins of Scotland’s largest independent firm of Chartered Accountants and Business Advisers lie in a partnership formed by Bill Johnston and John Carmichael in 1936. From our beginnings in rural Moray, we’ve grown into one of the country’s leading professional services businesses with a network of offices across Scotland. 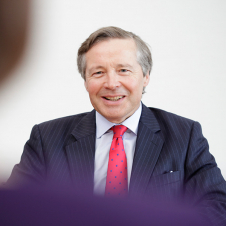 With over 700 staff and partners we are one of the UK’s top 20 accountancy firms and our team is headed up by our Chief Executive Sandy Manson. Johnston Carmichael is the PKF member firm in Scotland, a family of legally independent member firms with over 400 offices, operating in 150 countries. 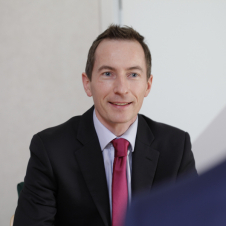 Our experts use their expertise and experience to act as trusted advisers offering detailed knowledge of your sector and keen insight to meet your individual needs across audit, tax, personal finance and other key areas. We’ve grown our business on our people’s ability to get to grips with yours. Our sharp minds consult across a whole range of disciplines and because of our size and scale, there will always be an expert on hand to listen, learn and advise. Keeping you informed on the topics that matter most to you and your business. Visit our events page for an overview of upcoming seminars and networking opportunities. We’re committed to contributing to and supporting the many communities in which we live and work throughout Scotland. Welcome to JC Exchange, a dedicated support network for accounting and finance professionals.